I thought he [former CBS News correspondent Bernard Goldberg] made some very good points. There is just no question that I, among others, have a liberal bias. I mean, I'm consistently liberal in my opinions. And I think some of the, I think Dan [Rather] is transparently liberal. Now, he may not like to hear me say that. I always agree with him, too, but I think he should be more careful. 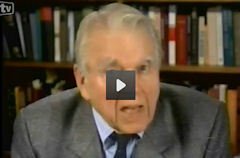 - Andy Rooney on 60 Minutes, January 17, 1999. — Andy Rooney on CBS's 60 Minutes, October 2, 2005. — Exchange on CNN's Larry King Live, January 6, 2006. — CBS's Andy Rooney on the October 15, 2006 60 Minutes. — CBS's Andy Rooney on 60 Minutes, November 14, 2010.